By the time you get to read this, the first leg of cycling’s trifecta of world events will have concluded. 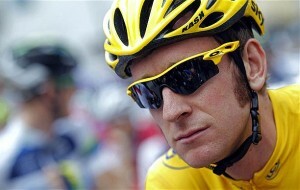 Bradley Wiggins will have rolled up the Champs-Elysees, glass of champers in hand, surrounded by his Team Sky team mates, holding a finger in the air to signify his and Great Britain’s first Tour de France win. There is a crazy short turn-around to the trifecta’s second leg – the London Olympics. This Saturday night (NZ time) Greg Henderson, with 3000 kilometres under his belt from the last three weeks pushing pedals around the French country-side joins former PowerNet Tour of Southland runner up Jack Bayer to try and somehow disrupt Great Britain’s plans of leading Mark Cavendish to Men’s Road Race gold. Linda Villumsen will ride the Women’s road race the following day and she will provide our best chances of a medal on the road when she starts the Time Trial in the early hours of Thursday morning. Be ready for more sleep deprivation cycling fans! The track cycling programme begins 3am next Friday morning (August 3rd) with Eddie Dawkins and his Team Sprint mates the first Kiwis to christen the Olympic Velodrome. Unfortunately, the time difference puts the vast majority of track finals between 4 and 5:30am, meaning the alarm is going to get a fair work-out over the six days of competition. And then comes the final leg, our hosting of the 2012 UCI Juniors Track Cycling World Championships. We are at the business end of planning now with yesterday (Sunday) marking one month to the opening day of competition. Team confirmations are coming thick and fast now with the entry process officially opening this week. The United States are the latest to confirm its squad and it will be one of the largest with 14 athletes selected over the weekend to wear the Stars and Stripes at Stadium Southland Velodrome. Ticket sales have spiked over the last week as word gets out that only limited numbers remain. Only a handful of tickets to Sunday’s final session are left and all other sessions are north off 80% gone. We are delighted and humbled by your support and interest and we’ll make sure we put on a good show for you. Corporate hosting options have now been launched as well and very soon they may be the only chance to get inside the velodrome to watch. Check out www.juniorworlds2012.com/tickets for all the info. This week we start our Roller Racing series which will be staged at Southland secondary schools over coming weeks with the top students lining up for an Ultimate Ride-off between sessions at the Junior World Championships. We’ll also be at a number of ILT establishments and at our main sponsor SIT. Again all the info is online at the junior worlds website. We’ve been lucky to organize a couple of handy curtain-raisers (Tour de France and the Olympics). Bring on the main event! To say it is an exciting time, just doesn’t do it justice.